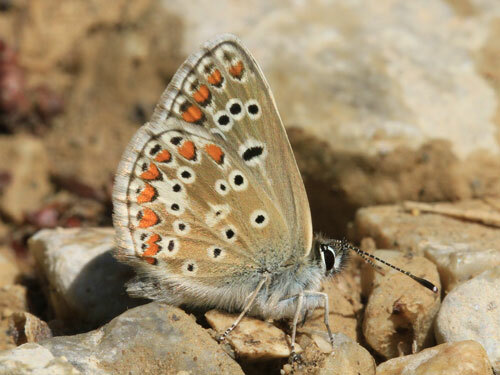 This butterfly is found in the mountains and hills of Europe. 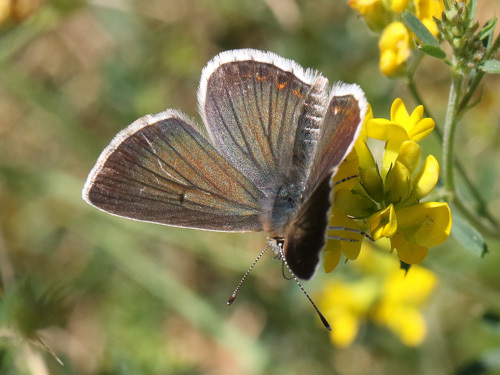 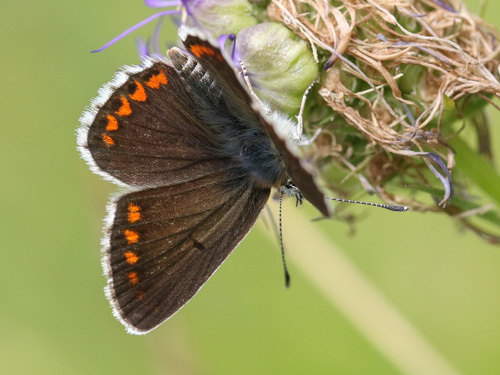 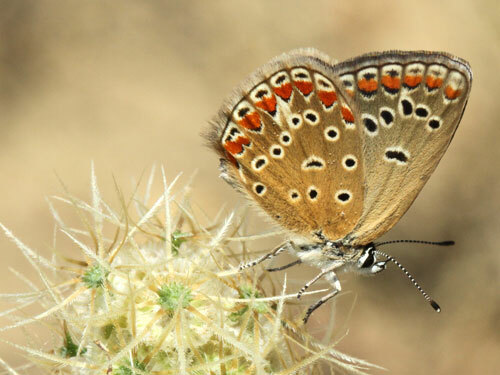 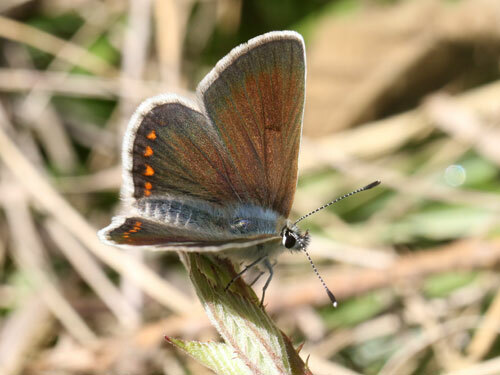 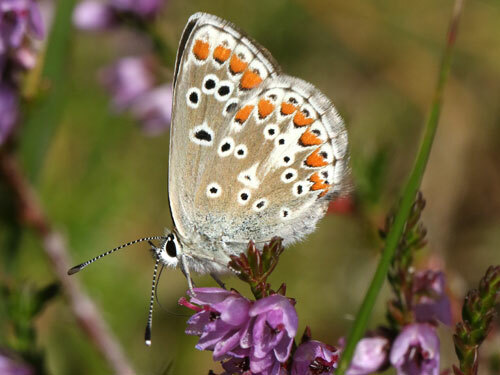 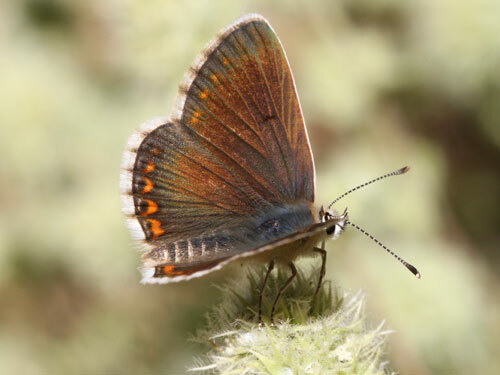 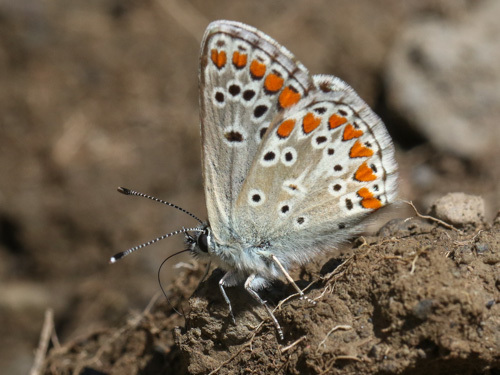 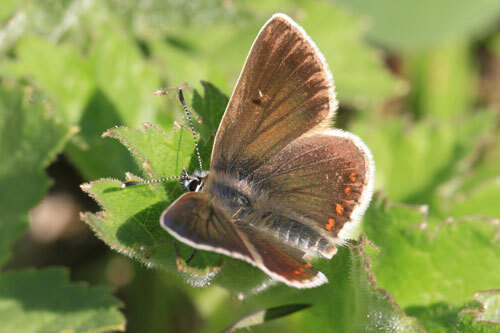 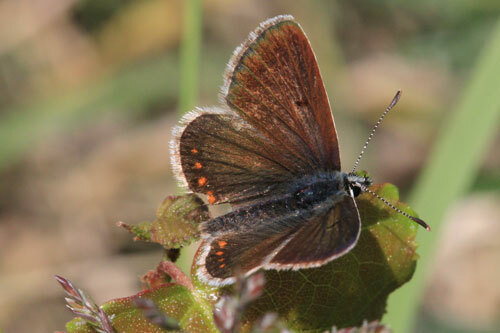 In the UK there is some debate as to it's true status as a full species as its range does not overlap with that of the very similar brown argus, A. agestis . 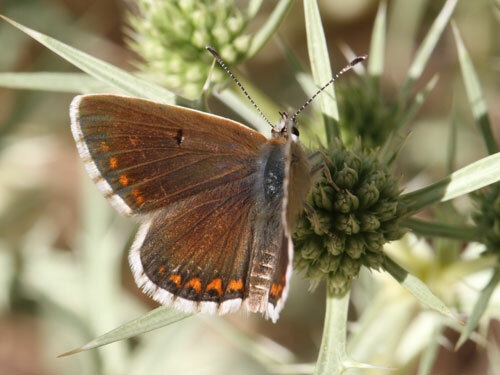 Identification & Similar species: Distinguished form A. agestis by reduced upperside orange markings which taper towards the forewing apex, and usually not or only just reaching the apex. 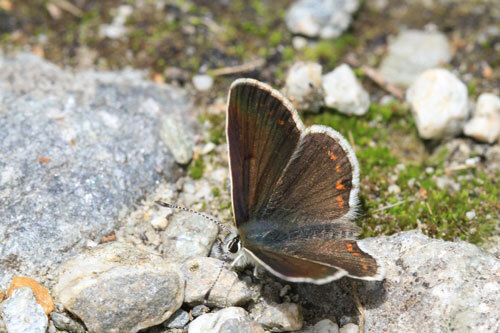 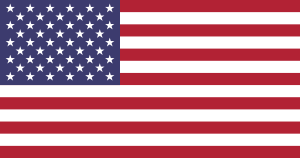 The underside is also usually uniform grey. 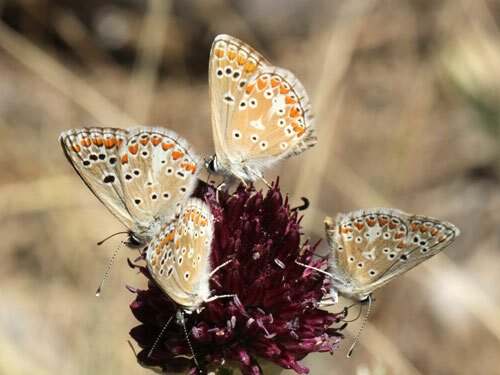 Distribution & Flight: Mountains and hills from north Africa and across Europe, including northern UK. 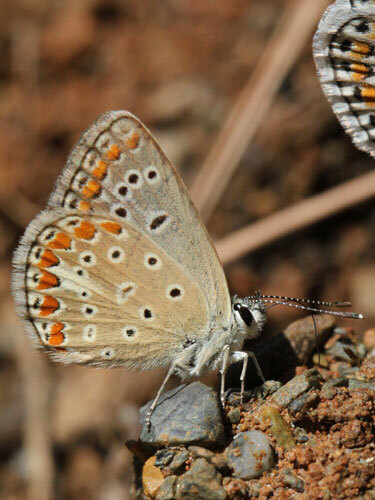 Single brooded in from June to August depending on location. 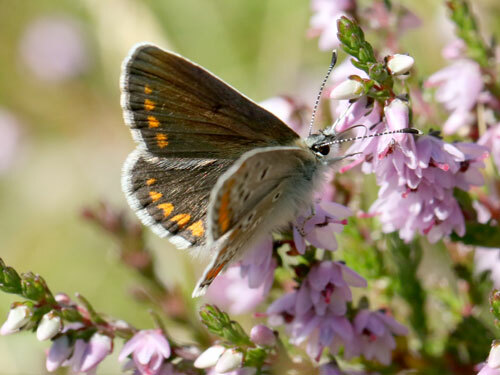 Habitat & Behaviour: Grassy slopes and meadows with flowers. 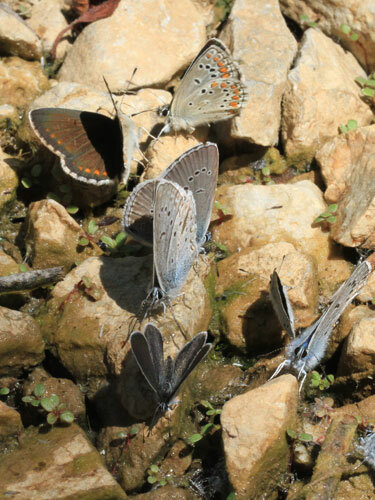 Can be dry rocky slopes. 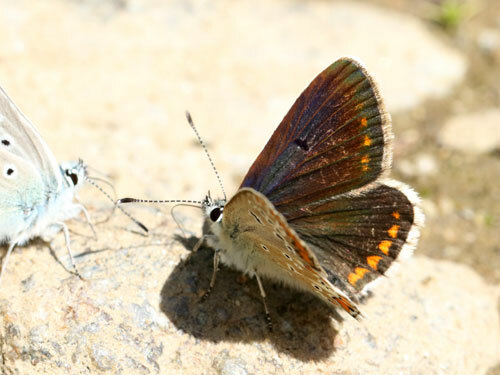 Variation: From northern England and Scotland artaxerxes has a white forewing spot and the underside white spots often lack black pupils. 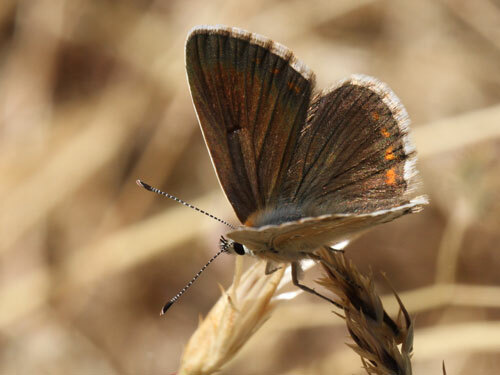 Sometimes considered as a full species, montensis flies in Spain, parts of France and south Balkans is generally pale grey on the underside, large and relatively strongly marked with orange and have a pointed apex. 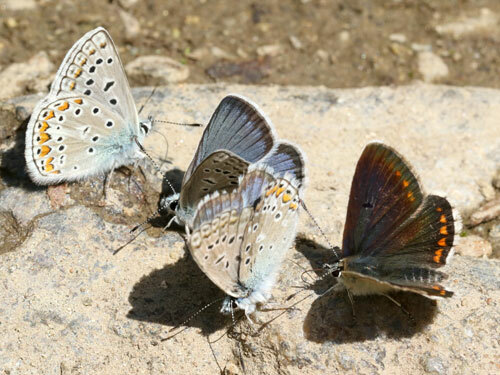 The subspecies allous flies on the higher mountains of eastern Europe, the Pyrenees, the Alps and into the Balkans. 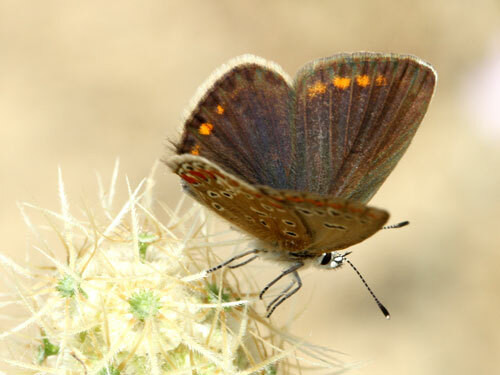 With false eros blue P. eroides. 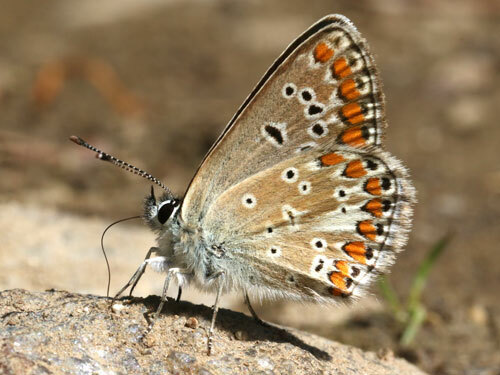 With a damon blue, A. damon. 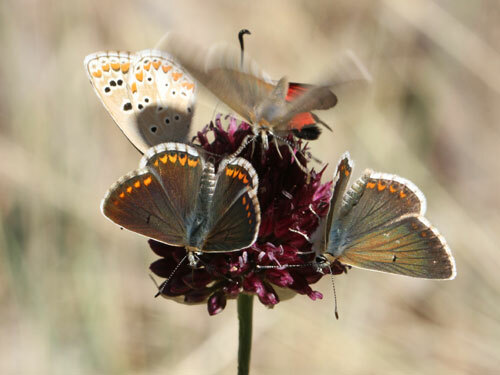 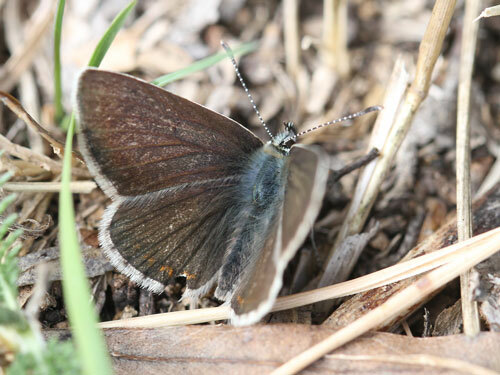 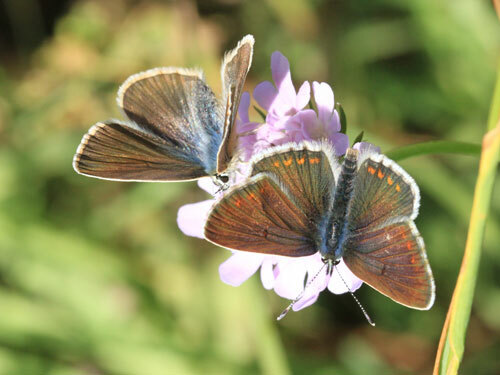 A group of Aricia artaxerxes, Cupido minimus, Agrodiaetus amanda and Cyaniris semiargus.